The Moon half of this Moon-Sun pair is done. It’s in pure porcelain. 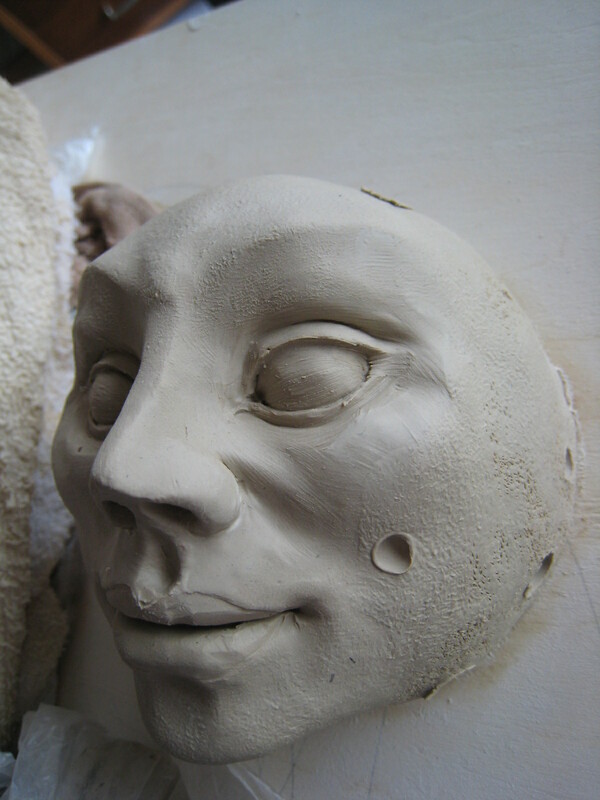 It’s a quirky clay, difficult to add to neatly, so the sculpting is more subtractive in the way that carving can be. I’ll try to add to the upper lip to make it fuller. The sun is still half-done, and swaddled in wet rags.